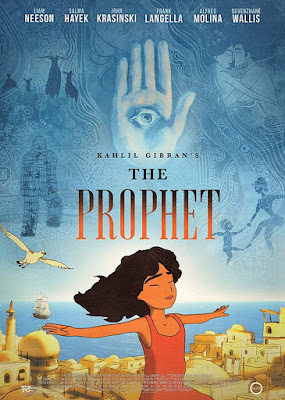 Kahlil Gibran’s THE PROPHET (rated PG) at the Oriental Theater on Tuesday, January 12 at 7pm. The Prophet, by celebrated Lebanese author Kahlil Gibran, is among the most popular volumes of poetry ever written, selling over 100 million copies in forty languages since its publication in 1923. Gibran's timeless verses have been given enchanting new form in this painterly cinematic adventure about freedom and the power of human expression. This breathtaking animated feature, produced and spearheaded by Salma Hayek, was an official selection at Cannes and made its North American premiere at Toronto International Film Festival. Written and directed by Roger Allers (The Lion King), the film intersperses Gibran's elegant poetry within stunning animated sequences by filmmakers Tomm Moore (The Secret of Kells, Song of the Sea), Nina Paley (Sita Sings the Blues), Bill Plympton (Guide Dog), and a host of award-winning animators from around the world. Set in a Mediterranean sea-side village, Kamila (Salma Hayek) cleans house for exiled artist and poet Mustafa (Liam Neeson), but the more difficult job is keeping her free-spirited young daughter, Almitra, (Quvenzhané Wallis) out of trouble. The three embark on a journey meant to end with Mustafa's return home – but first they must evade the authorities who fear that the truth in his words will incite rebellion. Featuring music from Damien Rice, Glen Hansard and Yo-Yo Ma. 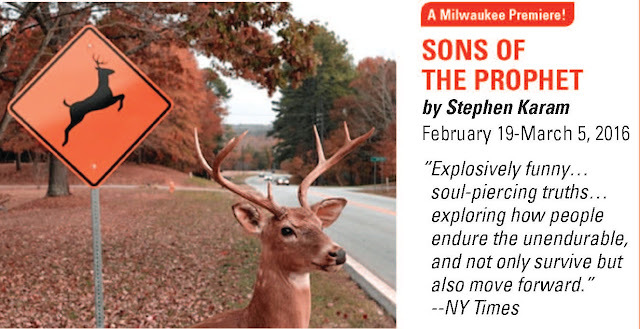 RESERVATIONS must be made for the screening on the GATHR’s website by December 18, 2015. Please reserve your $10 ticket today! 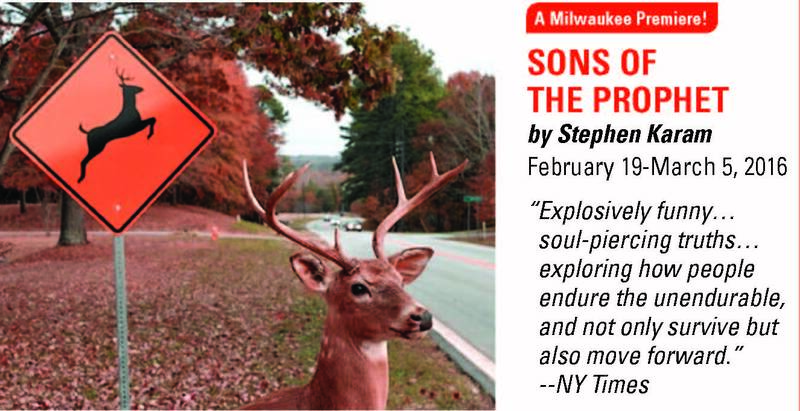 Sons of the Prophet by Stephen Karam February 19- March 5.
with Timothy a reporter covering the circumstances of Joseph’s father’s death.